MangledVerb™ is a unique effect combining reverb and distortion. 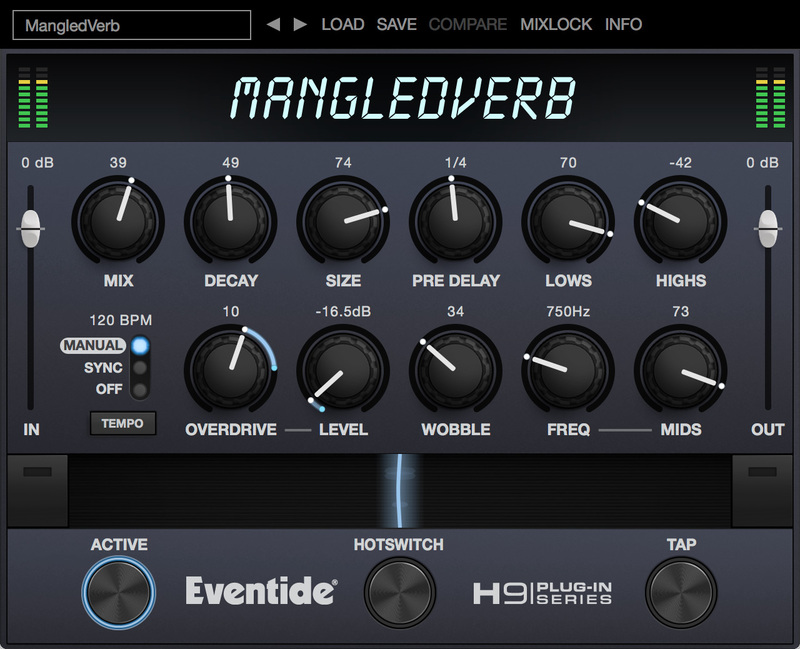 Ported directly from the award-winning H9 Harmonizer®, MangledVerb is capable of creating lush reverbs, ripping distortion leads and sound-sculpting musical chaos. Guitarists have used it for years to create signature sounds and now you can have it in your favorite DAW. Like all the H9 Signature Series plug-ins, MangledVerb excels in live situations. The Ribbon is an innovative control which allows you to program two settings for any combination of the controls and seamlessly transition between them. The programmable HotSwitch allows you to instantly jump to an alternate setting at the push of a button. This combination of controls brings you as close as possible to the experience of tweaking real hardware. Use it as Mono-In/Mono-Out, Mono-In/Stereo-Out or Stereo-In/Stereo-Out for ultimate flexibility. Use The Ribbon control to easily manipulate multiple parameters in a live situation.